Are you a Mama Grizzly? Do you give your kids more help than they need? Silvina, a self-proclaimed “mama grizzly,” came in for a consultation because she was so worried about her daughter. Laura, 22, had recently moved back home after she’d lost her job as a sales representative. Silvina reported that Laura was sleeping late, refusing to apply for new jobs, leaving messes around the house, and generally making herself and everyone around her miserable. The worst part, according to Silvina, was Laura’s constant blaming of her, Silvina, for her troubles. Silvina: My daughter blames me for everything. She says I didn’t teach her how to keep a job, I didn’t give her enough encouragement, and that it’s my fault she has low self-esteem. I just can’t believe that! I worked so hard as a mother. In fact, I tried to be the opposite of my mother. That woman knew how to be critical! Therapist: How did you try to be the opposite of your mother? Silvina: Well, I was always there for Laura. A real “mama grizzly”. If she needed help, I was there. I woke her up in the morning, got her breakfast ready and walked her to school. If she was upset, I comforted her. When she had a problem at school-like one time she was being bullied-I was right there. I let that teacher have it for not protecting my daughter! I made the principal put her in another class. I always put her first. That’s why I never dated after her father divorced me. Now she says I didn’t do enough! Could that be true? Silvina: Oh, yes, I always told her how pretty she was and that she could do anything she wanted in life. Therapist: How did she do in school? Silvina: She got excellent grades. Well, except for math. I couldn’t help her with math. Therapist: How did she do in college? Silvina: Laura went to community college and got her A.A. degree. She lived at home and did well. This is really the first time I’ve seen her behave like this. I thought she’d love living in her own apartment and being independent. I feel like her boss was too hard on her. After all, this was her first job. I really wish I could confront him, but I suppose that’s over the line, even for me. Therapist: What was your first job like? Silvina: Oh, I had to get a job at 16. I bagged groceries. My boss was awful. Everyone hated him. Therapist: How long did you work there? Silvina: Until I finished school. I put up with it because my family needed the money. Therapist: Were your expectations of the “real world” different than Laura’s? Silvina: Definitely. I knew from a young age that no one was going to cut me any slack. I didn’t want my daughter to deal with that. 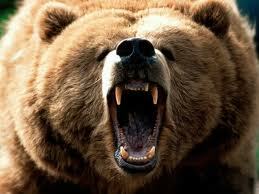 That’s why I was her mama grizzly. That’s why I was always there to help. Therapist: Maybe you learned something useful about the world that your daughter hasn’t, because she always had a “mama grizzly” to protect her. Silvina and I went on to discuss the relationship between a “mama grizzly” and her cubs. Sometimes a mama grizzly can help too much, making those cubs less likely to grow up to fight for themselves. Silvina: But now it’s too late. She’s grown already. Therapist: Are there any ways that you continue to help your daughter more than she really needs to be helped? Silvina: I can say yes to that! Since she’s been home I’ve been cooking and cleaning for her again. She doesn’t help out and she’s not paying rent. I’m pretty sick of it, to be honest. Therapist: So maybe it’s not too late to work on your part in your relationship with your daughter? Silvina: Maybe not, but I have a feeling Laura isn’t going to be happy with the new me. Can we keep talking about this? Therapist: Of course. Change isn’t easy. Are you saying you want to hang up your grizzly suit? Silvina (smiling): I want to try.